A new program begun in 2012 with a landmark grant in providing six emerging health advocates the opportunity to work within The California Endowment’s philanthropic programs to address community health disparities in California. Health Equity Fellows gain hands-on policy, advocacy and philanthropic experience and also benefit from the Greenlining Academy’s extensive leadership development curriculum. 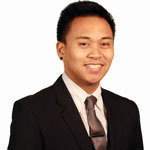 The Health Equity Fellowship is a year-long placement program that seeks to advance advocacy, research and policy projects related to Affordable Care Act implementation efforts in California, creating healthy school environments for low-income students, and fostering safe and healthy neighborhoods where youth and families can prosper. While I am only a recent alum of theGreenlining Academy, I can’t help but feel excited when I hear about the impactful work that current Academy participants are engaging in. From developing racial equity frameworks to creating a social media strategy (something I helped with!) to addressing health inequities, the kinds of things that Academy participants experience are unique and diverse. Just recently, Jessica Dunn, a current Greenlining Health Equity Fellow, published a blog post for The California Endowment, detailing her experience at the Grantmaking in Health Conference. A key takeaway from the event: developing partnerships is a vital component to improve health care delivery. 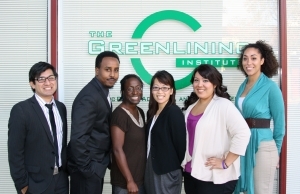 While we’re on the topic of partnerships, I want to highlight how The Greenlining Institute and The California Endowment teamed up last year to begin the Greenlining Health Equity Fellowship Program (scroll to the bottom of the page). Through this unique collaboration, emerging health advocates are selected each year and placed to work at one of The California Endowment’s regional offices across the state. Fellows work on hands-on projects ranging from Affordable Care Act implementation to creating healthy school environments. Although placed in different parts of the state, the Health Equity Fellows come together regularly to receive workshops and trainings from the Academy’s leadership development curriculum. Now I get why the conference put an emphasis on partnerships. They can create innovative programs like the Health Equity Fellowship. And while it’s only in its first year, I can’t wait to see the fellowship program grow and develop an army of forward-thinking health advocates. For more information on the Health Equity Fellowship, click here.